Founded in Milan, Italy, internationally renowned Quanta, has earned a reputation for building state-of-the-art laser systems for use in over 130 countries across the globe. Every Quanta laser, whether it’s headed to Mars or a surgical clinic, or your practice, is built by hand and tested for thousands of hours to ensure the highest level of efficacy and quality. Cartessa Aesthetics is the exclusive US partner to Quanta System. This partnership represents the coming together of two companies focused on innovation, support and industry expertise. Italian-engineered performance at its core plus the ability to customize the pulsed-laser specifications and configuration, an Evo Light Series laser is sophisticated platform technology. The Evo Light Series boasts OptiBeam II handpiece technology, large spot sizes, preset parameters and fast start-up and treatment times. With the option to add chilled IPL or erbium handpiece, the Evo Light makes it possible to perform a range of treatments across skin types: hair removal and treat pigmented lesions, vascular lesions, and acne scars. 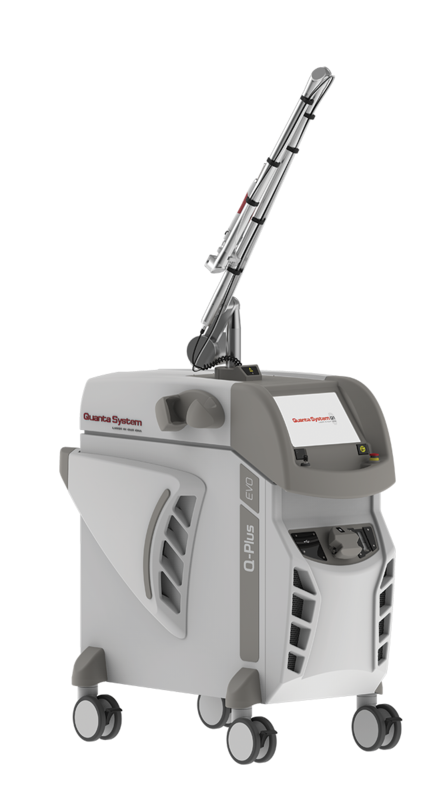 With the Evo Q-Plus Series, practices can customize Q-switch laser configurations with multiple wavelengths, including Quanta’s Ruby laser, the fastest Ruby laser on the market today. The Q-Plus technologies feature the benefits of the Evo Series — OptiBeam II technology, large spot sizes, fast start up and treatment times and pre-set parameters. With the option to add a chilled IPL and erbium handpiece, with the Evo Q-Plus series lasers practices can perform hair removal and tattoo removal as well as treat wrinkles, fine-lines, pigmented lesions, vascular lesions, and acne scars. With industry-leading peak power, four separate emission modes, unique OptiBeam handpiece design, and three true laser wavelengths — the Discovery series offers the power and precision that drives real results while minimizing discomfort. The powerful Discovery Pico Plus is highly effective on hard-to-treat tattoo ink colors and pigments. Add a chilled IPL, erbium and fractional handpiece to effectively treat wrinkles, fine-lines, acne scars, vascular lesions as well as unwanted hair. The Discovery Pico Derm is an ideal pico-second laser solution for those practices looking for all the benefits of the Discovery Pico system but do not need a tattoo removal machine. What sets the Thunder series apart is its power, speed and ease of use. 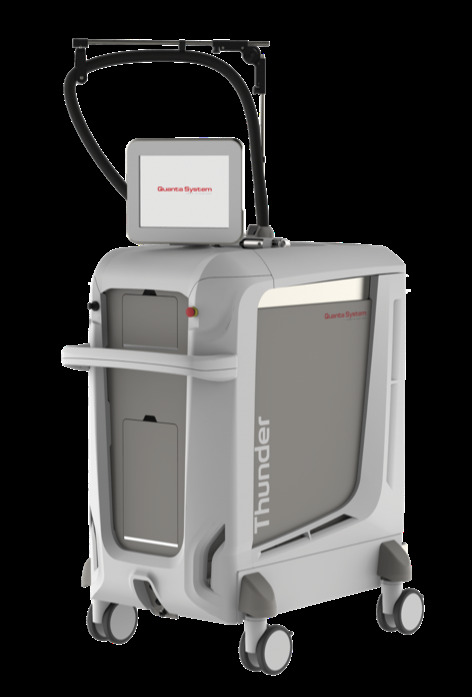 The Thunder offers two gold standard wavelengths — Alexandrite and Nd:YAG — large spot sizes and advanced scanner technology that delivers laser energy homogeneously increasing safety and comfort while reducing operator inconsistencies. 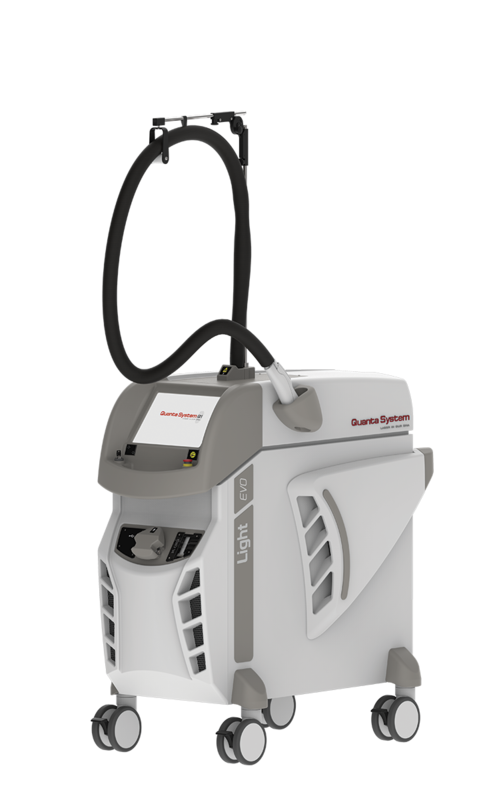 Interested in learning more about Quanta System Lasers?